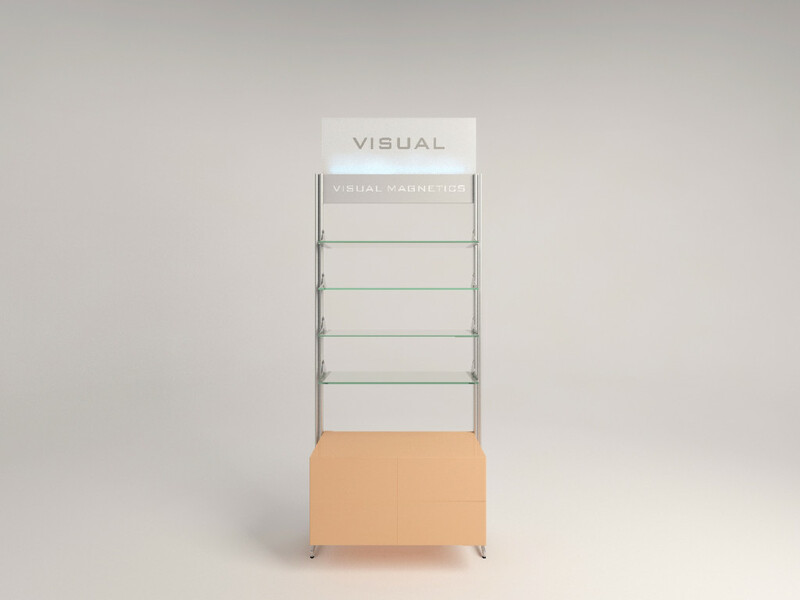 – ®Ral System 2.1 is free standing, requires no supporting walls, and can be organized, moved, and quickly placed in any part of your pharmacy. – ®Ral System 2.1’s minimalism lends itself to being easily used indiscriminately in any area of your pharmacy because it is discreet by design and can make any product stand out. 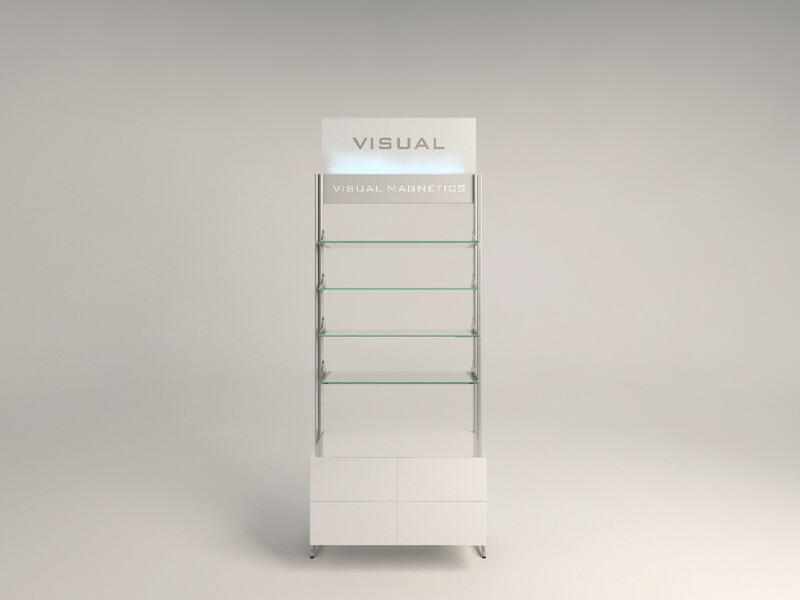 – The adjustable aluminum pillars allow for it to be modified for a variety of needs (placed by a wall or free-standing in the center of an area). 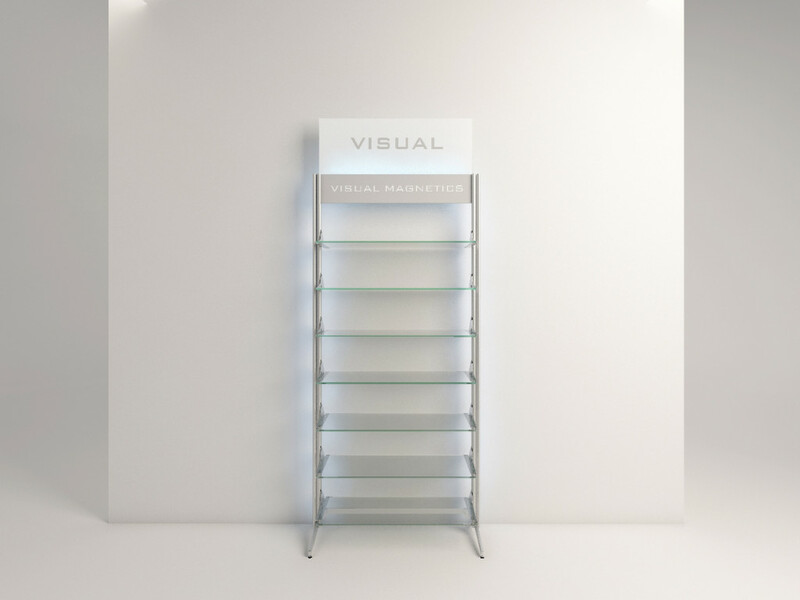 – The shelves can be easily and quickly adjusted and the interchangeable accessories are facilitated by an automatic locking plug that allows staff to change a large range of accessories based on seasonality, promotional campaigns, specific product categories, and marketing strategies. – We do not use unappealing exposed racks. The aluminum pillars with their minimalist design are also lit by LED lighting creating a bright and attractive atmosphere. – Communication on the visuals is heightened. The metal banner which houses the lighting means that you can update information thanks to a magnetic communication system that can be easily repositioned. How does the ®Ral2 give added value to products on display? 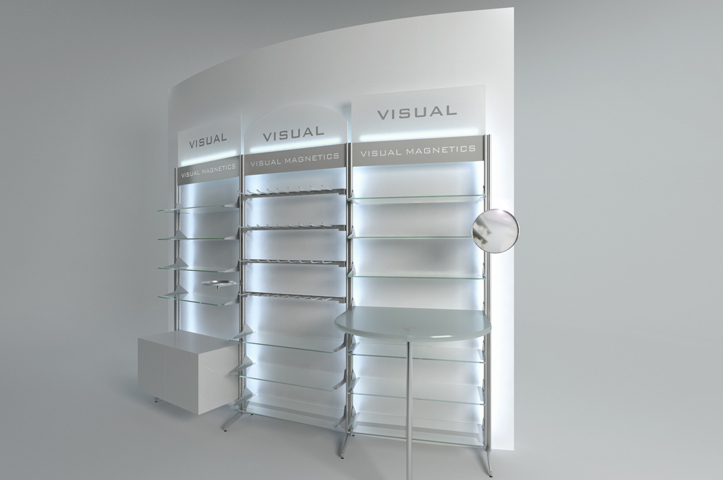 – ®Ral2 is the fruit of a series of developed visual merchandising concepts, in that it is the positive synthesis of two currents; that of the vertical displays which inhibit complete exposure of the products and horizontal displays which anonymize the sections. 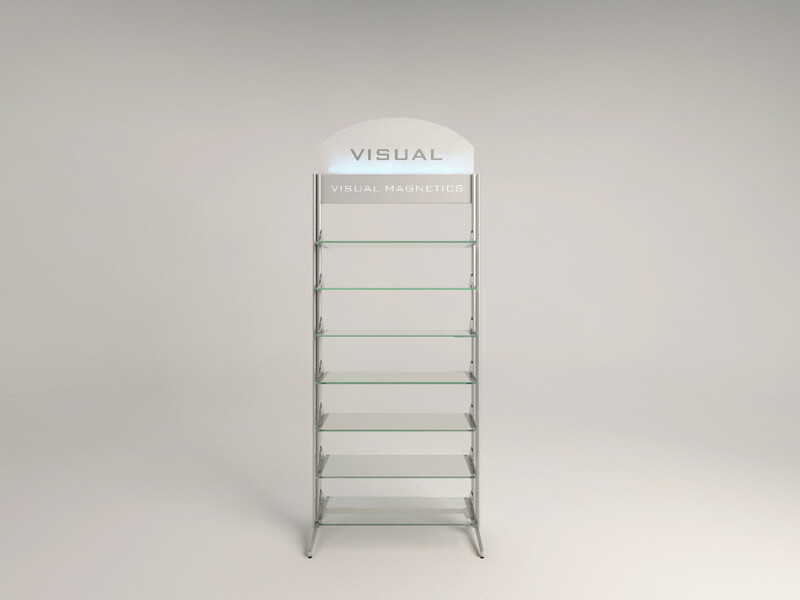 – The top part of the display is ideal for the metal band (carter) and a tall glass or plexi visual for additional information on the use of the product line/area/logo case. It features an RGB remote controlled diffused LED light, for a great atmosphere. 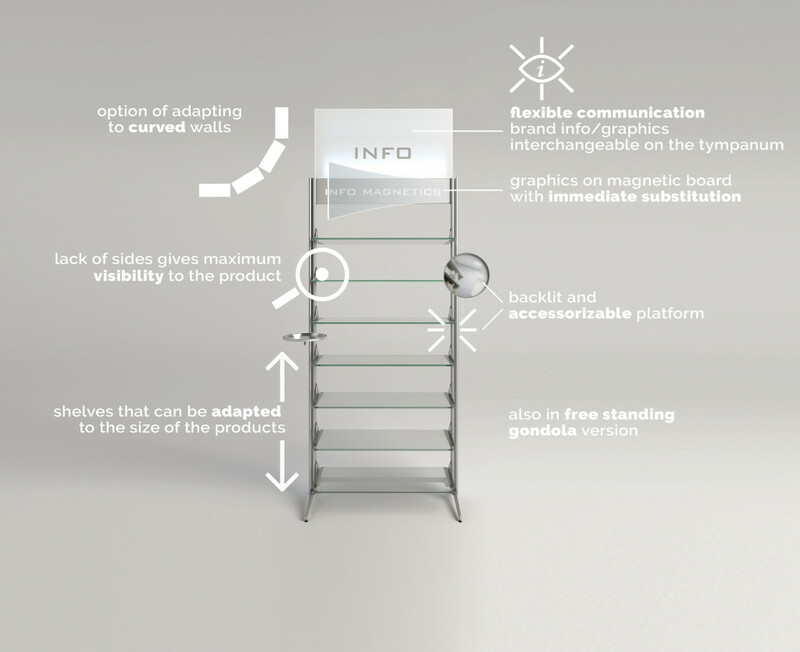 – Minimalist design, light, practicality and flexibility make the products stand out.